That’s it! You can handle that. 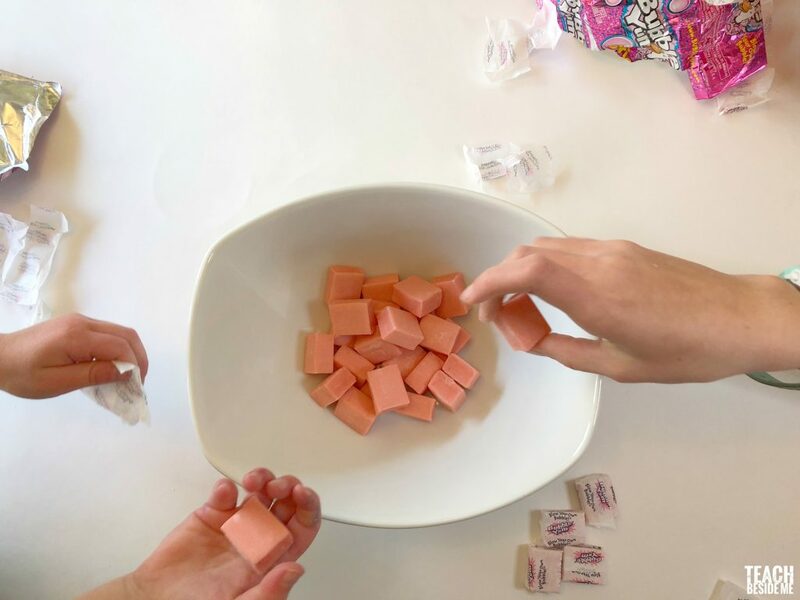 Unwrap all of the pieces of gum. It’s ok if a few get eaten along the way. It’s hard to resist. I bought an extra pack just in case, because, kids. 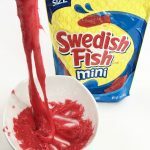 Once you have them all opened and in a microwave safe bowl, it is time to cook the slime. 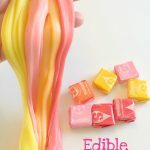 When it is melted and stir-able, add in 1-2 Tablespoons of coconut oil. 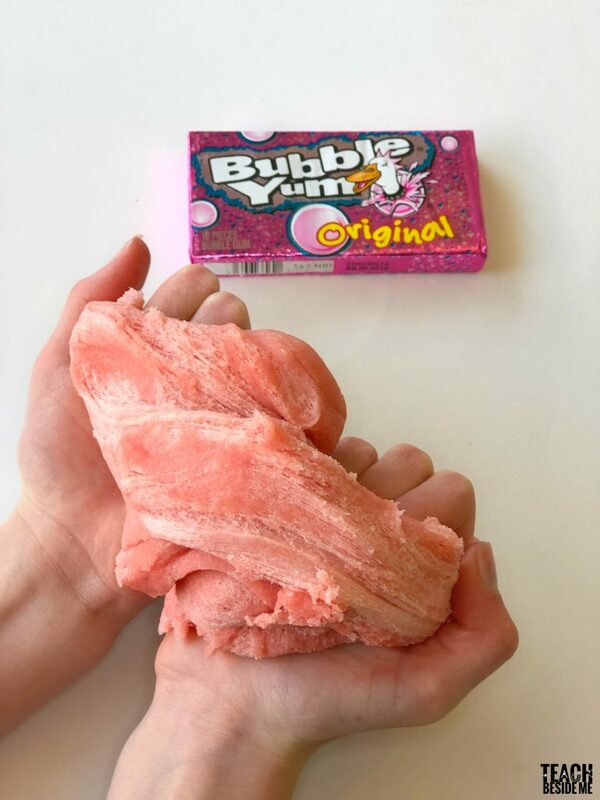 It will melt right in the gum. If you don’t have coconut oil, use another vegetable oil, no problem! 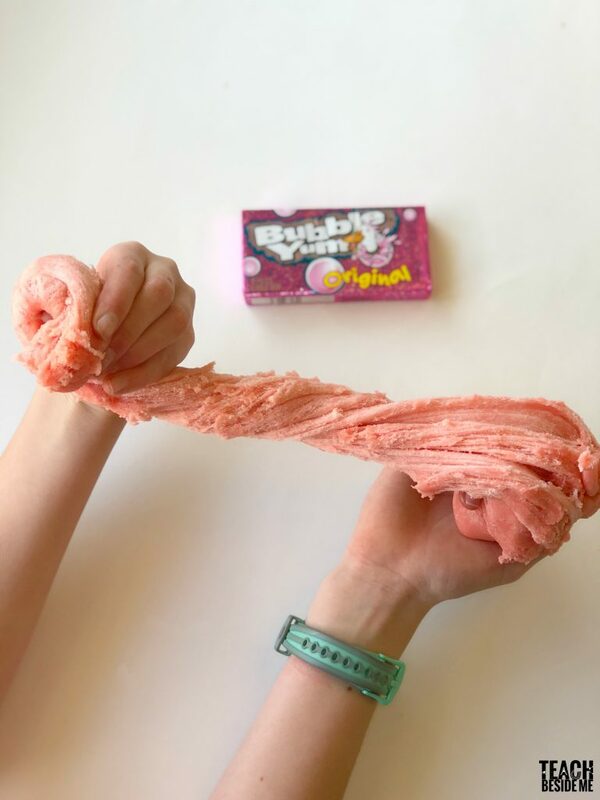 This just smooths it out making it much more stretchy. 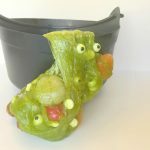 Try More of My Edible Slime Recipes! 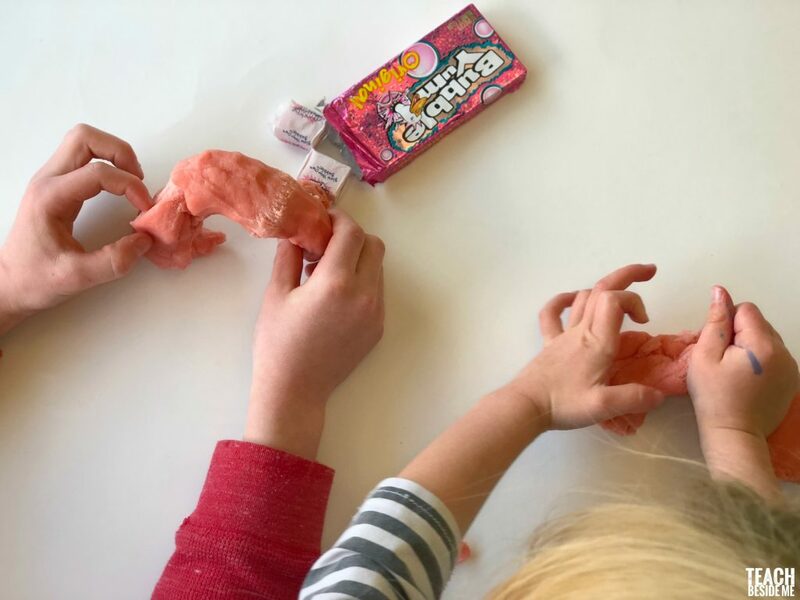 My eldest had a great time making this bubblegum slime with her friends (all “big kids” in university). 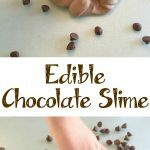 I included it in a round up of edible slime recipes. Hopefully it will send some traffic your way.